So what is roof pitch? Roof pitch is the vertical rise of your roof divided by the horizontal span (or run). It is typically expressed with the rise first and run second, with the run denominated by the number 12, giving a ratio of how many inches of incline there is to each foot of run. For example, 3:12, 4:12, 5:12, and so on. Don’t worry, here it is in simple terms. 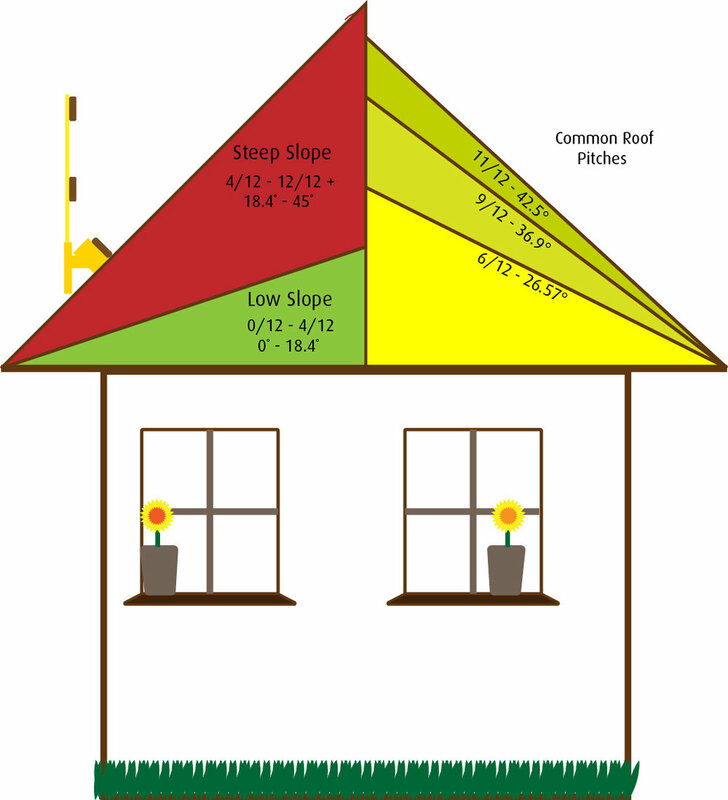 Roof pitch is the slant or steepness of your roof. You might have a very steep slant with high peaks or no slant at all (flat). The term flat roof is misleading however, since even a flat roof is not truly flat. It should have a 1 to 2% minimum slope so that water runs off. And that is the primary purpose of pitching a roof — to redirect water and snow so it won’t pond on your roof and cause serious damage to your roofing materials or even catastrophic collapse. Typically, areas with higher rain or snowfall have a steeper pitch — some of the roofs on eastern seaboard just didn’t have enough pitch to withstand the heavy snowfall, or worse yet, they were built correctly but the roofs weren’t well maintained. Every state and community has regulations and requirements for the pitch of a roof. It is a good idea to check with a professional roofer or building official to learn what those regulations are before picking out a building or home design that might not work in your area.